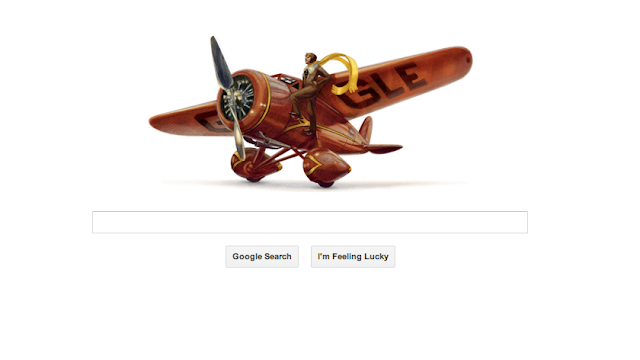 The Collector's Bin: Amelia Earhart on Google Doodle! One of my favourite people ever is on Google Doodle today. Happy Birthday Amelia! Amelia Mary Earhart was a noted American aviation pioneer and author. Earhart was the first woman to receive the U.S. Distinguished Flying Cross, awarded for becoming the first aviatrix to fly solo across the Atlantic Ocean.